Scottish Water says it has restored supplies after a burst water main flooded a number of properties in Bearsden yesterday (Tuesday). One family said on social media their home at Milngavie Road was likely to be “unliveable” for several weeks after the water seeped through the floorboards of their bungalow. They said the water was waist-deep in their garden. Scottish Water said repair work was ongoing to a 36in (91cm) trunk main that burst on McFarlane Road in Bearsden. They said they were working with other agencies to support those whose properties had flooded. The fire service worked overnight with staff from Scottish Water to remove the water from the road and residents’ gardens. Many residents were without tap water and supermarkets quickly ran out of bottled water supplies. 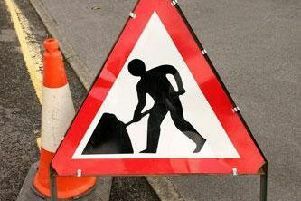 Scottish Water said Milngavie Road was open again to traffic this morning. The incident affected customers across Glasgow - Partick, Partickhill, Broomhill, Kelvingrove, Kelvindale, Kelvinside, Hyndland, Hillhead, Maryhill, Ruchill, Gilsochill, North Kelvin, Acre, Summerston, Cadder, Bearsden and Milngavie. Scottish Water apologised by a video link on Twitter at midnight on Tuesday and thanked customers for their patience. They warned that some customers could still experience discoloured water following the repair and that a small number with airlocks in their system might struggle to access their supplies. They urged those affected to contact them on 0800 0778 778.